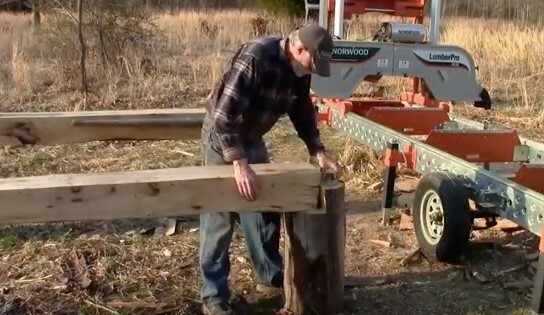 Building and using a log deck is an easy & efficient way to load logs for milling. And while these log-loading decks don’t need to be fancy, they do need to be stable and strong enough to handle the weight of heavy logs. What are the main reasons why you should consider creating your own log loading setup? Here’s a bit of sawyer wisdom we have to share with you! Transferring heavy logs onto your sawmill can be time-consuming – especially for those sawing on their own. That’s why we suggest all sawyers invest the few hours it’ll take to construct a log deck; you’re guaranteed to get those hours back on future milling projects. Log decks help you save time because they allow you to eliminate repetitive steps that can ruin your milling flow. Having a raised deck allows you to roll logs onto your mill quickly – freeing up time you would have had to spend loading over and over again, stopping & starting your milling. If your deck is large enough, you may even be able to load enough logs to eliminate several hours of work. If you’re milling for income, more productivity = more money! Norwood log decks are pretty darn strong (has anyone seen this video? ), but saving your mill from any undue stress is always a good idea. Using a log deck allows for the logs roll onto your mill gently, compared to logs being dropped by a tractor or front loader. With this method of loading, there’s also no chance that you’ll bump the mill with your tractor. There are two types of log decks – live and dead. Live log decks have conveyor systems that move logs with a simple push of a button or the pulling of a lever. These log decks allow for consistent movement of logs as new ones are added to the deck. This makes it easier for sawyers to reload whenever they begin to run out of logs. This is the fancy option! A dead log deck requires the manual effort of a sawyer to push and roll each log down the deck and onto the sawmill. With a downward angle, a dead log deck leverages gravity to transfer logs. While not as automated as live log decks, dead log decks are still advantageous over the manual lifting of logs. When building your log deck, it’s important to consider how much weight the deck will be able to handle and that the supports are stable. It’s also critical that you make sure that your deck is at the correct height to ensure your logs will roll effortlessly onto your sawmill. Our advice is that you use wide stumps to add support on the ground. Building and setting up your log deck will likely take half a day or so. 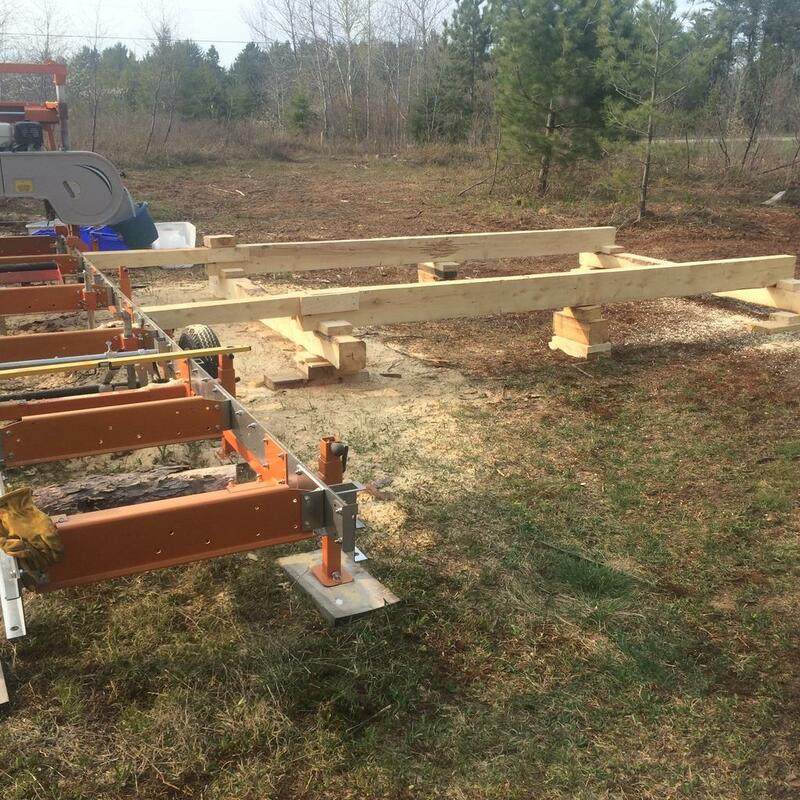 If you’ve already built a log loading deck, we’d like to see your setup! Post your photos and about your experiences in the Norwood Connect forum.